BYBER is an app designed to help you meet new people, connect with friends and explore what your neighborhood has to offer. Flirt Single? 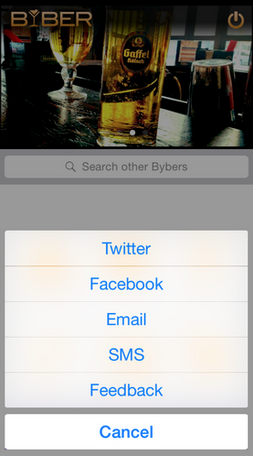 BYBER has added FLIRT just for you. Ever been in a bar and thought a girl was out of your league or the guy in the coffee shop was hot? FLIRT is a great way of showing some interest, you never know they might just FLIRT back. Map With Google Maps on BYBER you will never be lost again - looking for a bar or your BYBERS has never been easier, now go explore. 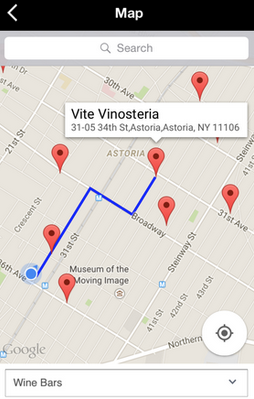 Discover Bored of your regular bar or are you new to your neighborhood? 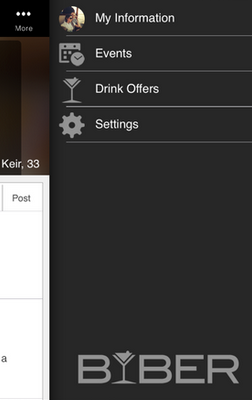 Click on DISCOVER to explore new bars and restaurants around you. 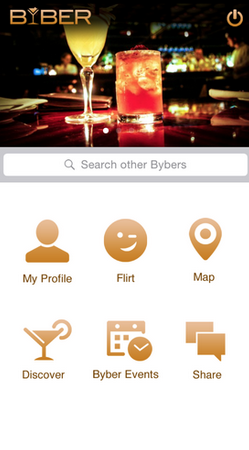 Byber Events Are you planning a night out with the girls or guys? Is it your birthday and you want to celebrate with your friends? 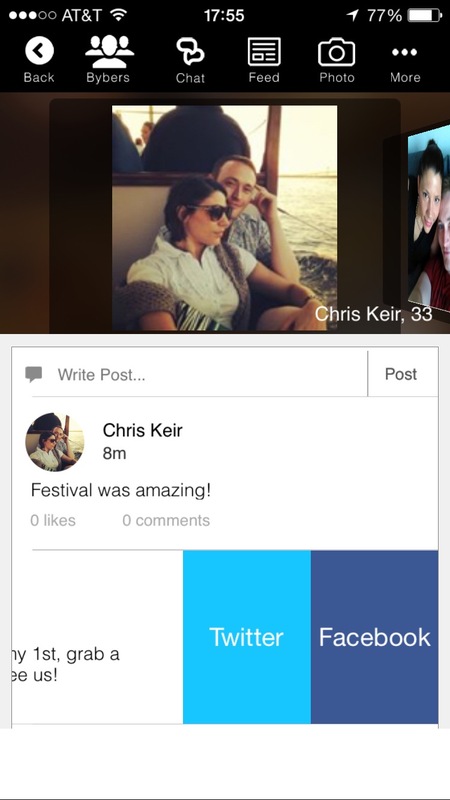 Pick the spot on BYBER, select a time, give it a title and send it to your BYBER'S - Done Message Whether its to your best friend or someone you just met - BYBER keeps it simple to stay connected.